SM Study: Refer a friend! Word-of-mouth referrals are the ultimate endorsement for a company, its products, services and staff. Referrals are therefore considered the gold standard of customer acquisition in many fields. But what can be done when the excellence of your salesmanship isn’t equating into a steady stream of referrals? When you’re giving it 110% and still not feeling the referral love? When referrals aren’t being generously doled out by past or current customers, a smart referral program can be just the right form of encouragement they need to extol you and your company’s virtues. 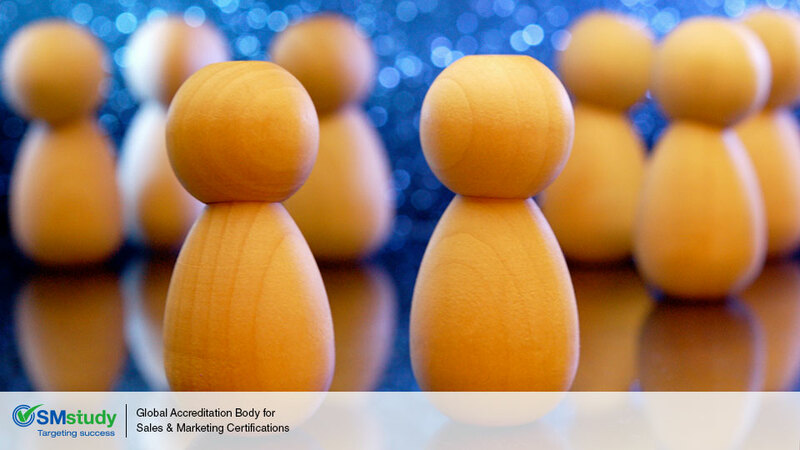 According to the SMstudy® Guide, Corporate Sales, referrals may happen on their own, but companies can also influence referrals through appropriate online marketing strategies. Incorporating a smart creative program can definitely be a win-win-win situation, benefiting the existing customer, potential customer and sales team. A reduction in marketing costs. Satisfied customers are now incentivized to sing your praises and steer potential customers in your direction. An improvement in customer satisfaction. Existing customers can engage and benefit from a referral program. An all-around better Return on Investment (ROI). After deciding to embark on a referral program, it’s time to put on the proverbial “thinking cap” and figure out what can be offered as a worthy token of a customer’s loyalty and how it can best be presented to customers. Every company is different but many find that offering what is within their wheelhouse enhances brand recognition and builds an ongoing conversation with customers. For example, the cloud-based file hosting service, Dropbox, ran a very successful referral campaign that offered 500MB of free storage to both the referrer and the referee. Sited by ReferralCandy as their #1 Best Practice Referral example, Dropbox experienced a 60% increase in sign-ups, beginning in September 2008 with 100,000 users to 4,000,000 in January of 2010. In addition, Dropbox noted that 35% of its daily enrollment was via their referral program. Offer a gift, don’t ask a favor. Dropbox offers more free storage space to new members instead of asking them to refer a friend. Make the referral process painless. Offer convenience with a choice in referral methods. Simple social media and email options are optimal. Let the customer behind the curtain. Dropbox allows users to check on referrals via their dashboard. Keep the train running. A confirmation email indicating when a referral has responded includes the option to refer another person. So, instead of being a one-time only affair, Dropbox has created a referral loop and as long as it maintains its appeal, it will continue to draw in referrals. We’re always hoping well-earned referrals will be forever flowing in, but when they’re not, referral programs such as the one used by Dropbox have the potential to fire up our customers. And as a final thought, consider this…ReferralCandy suggests that if advertising had been their only means of acquiring customers, Dropbox would have failed. “Not only did referrals allow Dropbox to escape death, it allowed them to avoid all traditional ad spend. That in turn would have allowed them to focus their resources on making a better product- further cementing their competitive advantage,” they said. For more articles on sales and marketing, visit smstudy.com. SMstudy® Guide, Corporate Sales, pg. 172-173.